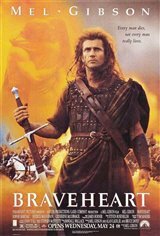 Mel Gibson directs and stars in this Academy Award-winning epic based on the life of legendary thirteenth century Scottish hero William Wallace. Returning to his homeland following the death of an heirless king, Wallace (Mel Gibson) finds the political landscape precarious. Edward the Longshanks, King of England (Patrick McGoohan), has captured Scotland's throne and threatens the freedom of all Scottish people, as tyrannical policies instituted by the English plague the Scots. Initially, Wallace is content to stand by the wayside, yearning for the simple life of building a home and raising a family. 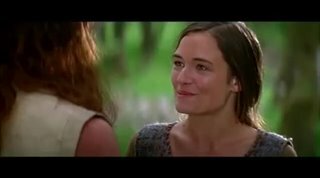 However, when the woman he loves (Catherine McCormack) suffers a cruel fate at the hands of English soldiers, Wallace takes a stand against the new rule. With his fierce patriotism and determination, he gathers an amateur but passionately rebellious army. Although this makeshift force may be outnumbered by the English troops, their desperation and love for their land surpass any military maneuvers, as evidenced in the film's breathtaking battle sequences.